Jewel Changi Airport, a multi-dimensional tourist destination, will open its doors to the world on April 17th. 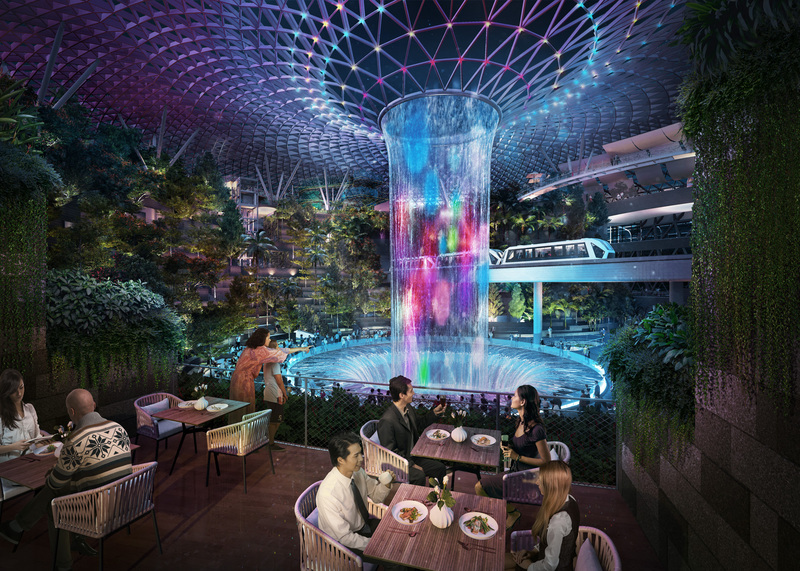 Comprising ten storeys and a total area of 137,000 square metres, all under a stunning glass and steel facade, Jewel will be directly connected to Changi Airport’s terminals. The development will feature a lush, four-storey Forest Valley containing thousands of trees and plants, making it one of the largest indoor collections of plants in Singapore. The majestic 40-metre high Rain Vortex, the world’s tallest indoor waterfall, will also take centre stage in the complex. Surrounding this will be over 280 retail stores and eateries, as well as Jewel’s own 130-room hotel, Yotelair Singapore Changi Airport. Passengers will also enjoy the convenience of early check-in for their flights with baggage storage facilities even for their hand-carry at Jewel. Designed by a team of consultants comprising Safdie Architects led by world-renowned architect Moshe Safdie, as well as architects RSP and Benoy, the concept for Jewel’s design represents the juxtaposition of a park and marketplace. Ivan Tan, group senior vice president, corporate and marketing communications, Changi Airport Group, said: “Jewel is set to be a unique destination, like no other. “It offers a mix of lush greenery, a scenic waterfall, incredible retail offerings and family play attractions that together make for an unrivalled experience. The topmost level of Jewel will feature a Canopy Park, with play attractions, gardens, walking trails, and dining outlets, that is designed to be a wonderland for both the young and young at heart. Three iconic attractions - Sky Nets, Canopy Mazes and Discovery Slides - will take pride of place at the park, which is planned for a second phase opening in mid-2019.